On 27 November, Jimi Hendrix's birth date, an expert panel at Rolling Stone chose Jimi Hendrix as the best guitarist of all time. He only lived to 28 but it was enough to leave a mark- including his stage theatrics, psychadelic mood and outrageous fashion sense. He was found dead in his apartment on September 18, 1970, attributed to accidental overdose. 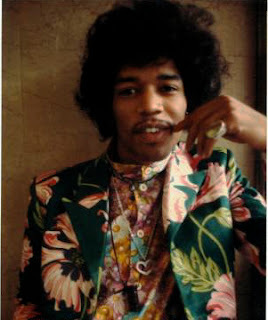 Thanks to posthumuous releases and writings, including last year's 'Valleys of Neptune', the sound of Hendrix remains. This week, he surpassed the likes of Eric Clapton and Pete Townshend to receive the Rolling Stone award. Apple has also launched the "Jimi Hendrix- the Complete Experience App". It can be downloaded for free from the iTunes App Store and allows users to explore Hendrix-related text, images and video. 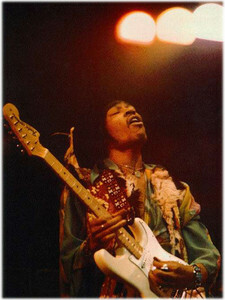 Hendrix's imaginative lyrics and psychadelic mood has made his sound remain. My favourite performance of his is at the Monterey Pop Festival in 1967 where he danced with his guitar, played it backwards and eventually set it on a fire. Hendrix is definitely worthy of this week's Rolling Stone award. 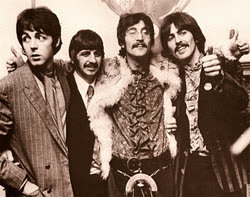 Favourite quote: If there is something to be changed in this world, then it can only happen through music.